TROY, Mich.: 16 March 2016 - Customer satisfaction with dealer service related to an automotive recall declines for the first time in six years, according to the J.D. Power 2016 U.S. Customer Service Index (CSI) Study, released today. The drop in satisfaction this year, which comes on the heels of a record number of recalls, stems from customers feeling that dealers do not give the same level of attention to recall work as they do to non-recall maintenance and repairs. The study measures customer satisfaction with service at a franchised dealer facility for maintenance or repair work among owners and lessees of 1- to 5-year-old vehicles. 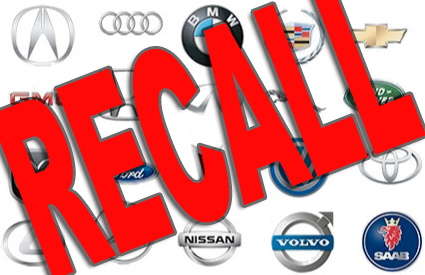 More than 51 million vehicles were recalled in 2015, according to the National Highway Traffic Safety Administration. As recall numbers soar, customer satisfaction with recall service drops to 781 on a 1,000-point scale in 2016, down from 789 in 2015. In comparison, satisfaction among customers with non-recall servicing averages 809 in 2016. Compared with customers having non-recall work performed, those having recall work done are less likely to have their vehicle returned to them cleaner and with the same settings as when they brought it in and less likely to be contacted by the dealer after the service is complete. "While it may be tempting for dealers to focus more on repair or maintenance work, recall customers represent both an opportunity and a risk to the brand and dealer," said Chris Sutton, vice president, U.S. automotive retail practice at J.D. Power. "There is a need for consistency in the service experience, regardless of the reason for the visit. A lack of consistency, particularly for recall work, can damage customers' perceptions of the brand and negatively impact their likelihood to recommend and repurchase the brand." Overall customer satisfaction, which is based solely on the first three years of ownership, with dealer service averages 854 in the luxury segment in 2016, up from 852 in 2015, and 797 in the mass market segment, up from 792. Audi ranks highest in satisfaction with dealer service among luxury brands, with a score of 874. Following Audi in the luxury ranking are Lexus (869); Cadillac (863); Mercedes-Benz (857); and Jaguar and Lincoln in a tie (856 each). MINI ranks highest in satisfaction with dealer service among mass market brands, with a score of 858. Rounding out the top five mass market brands in the ranking are Buick (849), GMC (830), Chevrolet (818) and Hyundai (814). Wait Time - An Hour or Less is the Magic Number: The study finds that 70% of all service customers are willing to wait between one and two hours to have their vehicle serviced. Additionally, 17% of service customers will wait less than an hour or not at all for service, demonstrating the importance of providing loaner vehicles and offering shuttle service, as well as amenities in the waiting area. Customer satisfaction averages 835 when the wait time is less than one hour and 40 minutes, and dips to 756 when the wait is longer. Service with a Smile: Service satisfaction improves by 44 points when a service advisor greets customers within two minutes of their arrival; yet, 27% of customers indicate they had to wait longer for a greeting. In Search of the Elusive Tire Customer: In the first five years of ownership, the components that customers most frequently replaced during the past 12 months are front wiper blades (25%); tires (22%); brake pads (6%); rear wiper blades (6%); and batteries (5%). Among these, tires are the only replacement component that customers are more likely to have replaced at a non-dealer facility than at a dealer facility. Dealers should take note of this finding, as their ability to retain customers for tires is important. Among customers who purchased tires at a dealership, 40% say they "definitely will" repurchase the same brand, compared with 31% of those who purchased from a non-dealer. Dealers Need to Get on the Text Message Bandwagon: Dealer service communication overwhelmingly takes place either in person at the dealership or over the phone; only 2% of all customers currently receive service updates via text message or email. Yet, 37% of Gen X customers and 38% of Gen Y customers prefer to receive service updates via text message or email. Even 22% of Boomer customers prefer text or email communication. The willingness to communicate according to customer preference is a tremendous opportunity to increase satisfaction. The Value of Getting it Right the First Time: The vast majority (94%) of customers who take their vehicle in for service indicate that the dealer fixed it right the first time. However, among the 6% of customers indicating the service work was not completed right on the first visit, satisfaction drops to 611, which is 207 points lower than among those whose work was completed right the first time. The most frequently cited reasons for the vehicle not being fixed right the first time are "work performed didn't correct the problem" (28%) and "dealership could not find the problem" (22%). The 2016 U.S. CSI Study is based on responses from more than 72,000 owners and lessees of 2011 to 2015 model-year vehicles. The study was fielded between October and December 2015.